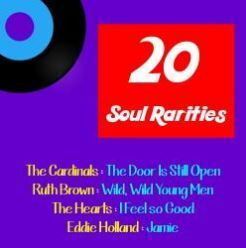 Hi everyone, this week we’re continuing our month-long look at Early Sixties Soul music. Our artists for this week are Jackie Wilson, Solomon Burke & Little Willie John. 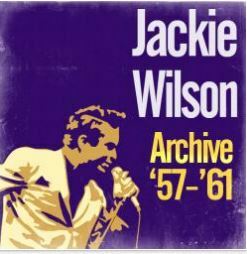 Jackie Wilson: Wilson was born in Detroit in 1934. And like all the other musicians who helped create the new musical genre of Soul, he started out singing Gospel, then incorporated traditional Rhythm & Blues and Pop influences into his music to produce a classic early sixties Soul sound. Wilson initially sang as a solo artist before joining Billy Ward’s band, the Dominos in 1953. He took over the singing duties from the great Clyde McPatter who left Ward’s band to form The Drifters. During Wilson’s tenure with The Dominos they had one hit Reet Petite (The Finest Girl You Ever Want To Meet) in which you can clearly hear the styles of Rhythm and Blues, Pop and Swing being woven together. In 1957, Wilson left Ward’s band and launched his second solo career. He scored numerous hits in the next ten years starting with 1958’s To Be Loved. Other Wilson hits of the era include: Lonely Teardrops, I’ll Be Satisfied, Doggin’ Around, A Woman, A Lover, A Friend, Alone At Last, My Empty Arms, Baby Workout, (Your Love Keeps Lifting Me) Higher And Higher, and I Get The Sweetest Feeling. Wilson’s was a very energetic singer and a great performer. He was also a consistent hitmaker during the 1960s. However, it is notable that when Wilson recorded albums he focused on creating hits and so sometimes the depth and energy of his singing wasn’t captured in his studio recordings. All in all though, Wilson richly deserves his place in music history as one of the founder of Soul Music – few singers of the era sang more energetically, and his rich tones when complimented by the right songs/song arraignments are wonderful to hear. Wilson continued to perform into the nineteen seventies but, unfortunately, suffered a stroke while performing in Cherry Hill, New Jersey in 1975, at the very young age of 41, and was never able to perform again. Wilson died in 1984. 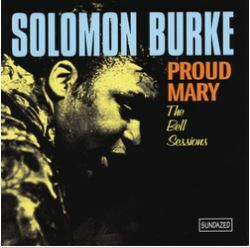 Solomon Burke: Burke was born on March 21, 1940 in Philadelphia, Pennsylvania. Both his mother and his grandmother were preachers so he grew up with the sounds of Gospel woven into his life. And as a young man, Burke worked as a preacher and mortician before turning his launching a singing career. 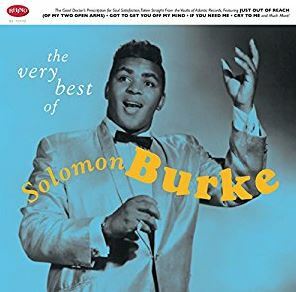 Burke never had a pop hit, although he had many R&B hits, but he had a huge impact on the genres of Pop and Rock Music and was another founding pillar of the genre of Soul Music. Burke started out singing Gospel in his family’s church and went on to sing music that mixed Rhythm and Blues and Country Music with Pop overtones, polishing and transitioning that music into Soul Music as he went. In the mid-sixties a radio show host referred to Burke as “The King Of Rock and Soul” and Burke loved the description and went with it, creating a stage persona that showed him larger than life, decked out like a king and sitting on a throne while he sang. Burke recorded for Atlantic Records during its sixties heyday. And with his smooth vocals, flamboyant style and knack for storytelling, influenced a whole host of subsequent artists and groups including the Rolling Stones who covered two of his songs in their early years– Everybody Needs Somebody To Love (Rolling Stones No. 2), and Cry To Me (Out Of Our Heads). Burke’s R&B hits of the sixties included: Cry To Me, Just Out of Reach, Tonight’s The Night, Got To Get You Off My Mind, If You Need Me and Goodbye Baby (Baby Goodbye). Post sixties, Burke continued to record and perform and actually died in an airport in Amsterdam while on tour in 2010. He was seventy years old, and according to his New York Times obituary, he was survived by 21 children, 90 grandchildren and 19 great grandchildren. Little Willie John: John was born in Cullendale, Arkansas on November 15, 1937. He grew up in Detroit and his first hit was 1955’s All Around the World. John’s vocals had great emotional depth and his voice was youthful in tone giving his music a very vibrant feeling. John recorded for King Records, a lesser known label that the great sixties R&B/Soul labels Atlantic and Stax, and, was cited as a musical inspiration by many other performers including B.B. King, Al Green, Clyde McPhatter, James Brown, Jackie Wilson and Sam Cooke. John was a passionate individual and hot tempered when it came to slights – particularly those based on his lack of height – he was five feet, four inches tall. And in 1964 he stabbed a man and as a result, was sent to The Washington State Penitentiary. He died there under suspicious circumstances in 1968. 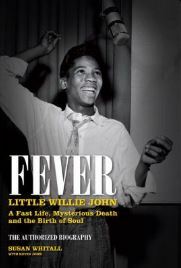 Some sources say John died of a heart attack, others that he died of pneumonia and several contemporaries interviewed for his 2011 biography, Fever: Little Willie John A Fast Life, Mysterious Death and The Birth of Soul by Susan Whitall, claim that he was murdered. Whatever the cause of his John’s death, he died at the very young age of 30 leaving behind some great music. His hits include: Are You Ever Coming Back, Fever, Heartbreak, Home At Last, I Need Your Love So Bad, I’m Shakin’ and Let’s Rock While The Rockin’s Good. This album contains a number of Wilson’s best songs including: Reet Petite, To Be Loved, Lonely Teardrops, I’ll Be Satisfied, Doggin’ Around, Night and more! The songs on this collection include: These Arms Of Mine, I’ll Be Doggone, Please Send Me Someone To Love, The Generation Of Revelations, In The Ghetto and more. In addition to Little Willie John, this album features a swinging version of Oh Babe by Lucky Millinder, a bouncy Voo-Vee-Ah-Bee by The Platters and Sixty Minute Man by Billy Ward & His Dominoes featuring Clyde McPhatter on vocals. 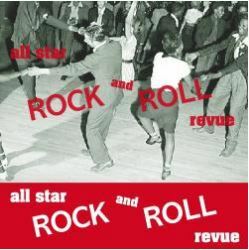 Other musicians features on the album include: Big Joe Turner, Dinah Washington, Ruth Brown, Eugene Church and more. If you’re only familiar with Jackie Gleason as portraying the everyday common man Ralph Kramden on the classic TV show the Honeymooners, than you are in for a treat! Jackie Gleason also had a musical career! In the fifties, he said that he thought there was a need to create smooth, romantic, easy listening instrumental music like the kind he saw, during romantic scenes in the movies, while he was growing up – and boy did he! Jackie Gleason’s albums feature rich, horn based instrumentals that are perfect to play as back ground music while reading, relaxing, unwinding while working out or even just de-stressing, wine glass in hand, after a hectic day. 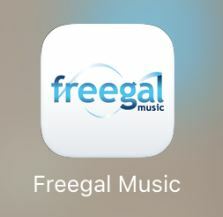 If you go to the Freegal checkout page to stream the set you’ll notice Freegal has the musical category listed as Jazz. However, Jackie Gleason’s music really isn’t Jazz – it is the soft background music that later became known as lounge music and it is perfect music to play when you just want to shut your eyes and relax! 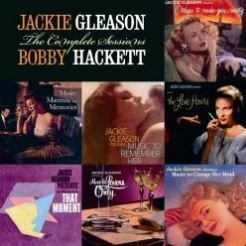 Freegal has several different Jackie Gleason albums in its catalog, including this set of Gleason’s featuring albums released between 1953 and 1960 which feature trumpeter Bobby Hackett. This collection features more than 100 songs – so stream away! This multi disc collection includes seven albums originally released between 1958 and 1961 including his first three albums: He’s So Fine, So Much & Lonely Teardrops. Also included are the albums Jackie Sings the Blues and A Woman, A Lover, A Friend both released in 1960 and 1961’s You Ain’t Heard Nothin Yet and By Special Request. 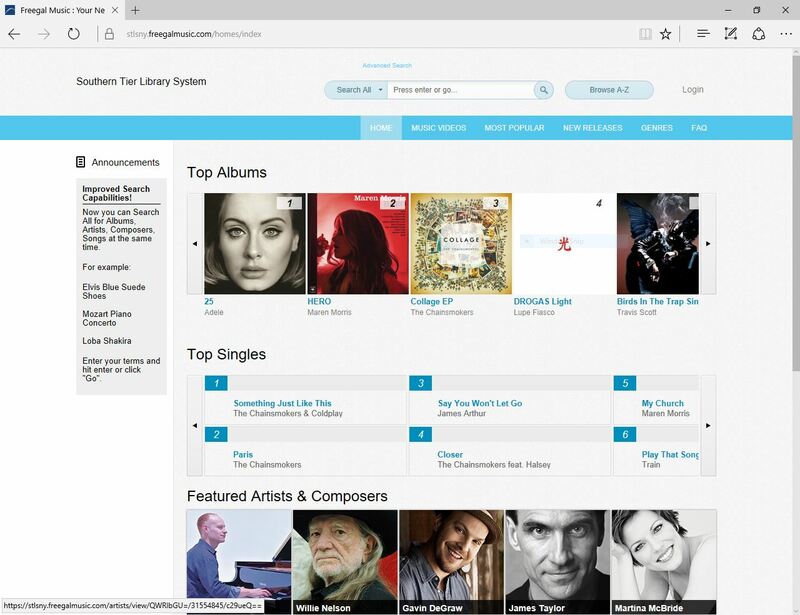 Since that is seven albums worth of material to listen to and not everyone has that much free time, I’ll note that the AllMusic site gives the highest ratings to the albums Lonely Teardrops and Jackie Sings The Blues. 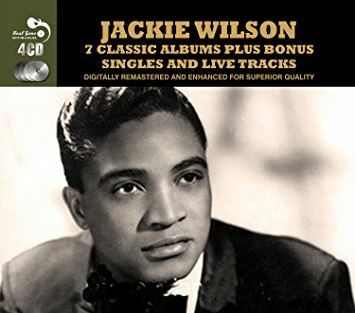 This album, unlike the mega Jackie Wilson set, features one single-album of music; sixteen of Solomon’s best songs including: Just Out Of My Reach, Cry To Me, Everybody Needs Somebody To Love and Tonight’s The Night. 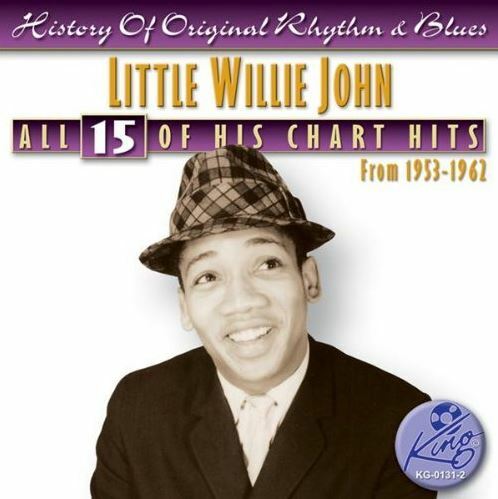 This album is a solid greatest hits collection featuring, as the title says, all of Little Willie John’s hits from the fifties and early sixties. The album includes the songs: All Around The World, Need your Love So Bad, Cottage For Sale, Fever and more. This collection of silent American films is a great find! The set includes early movies, previously unavailable on video, by John Ford, Alfred Hitchcock and other early American cinematic favorites. 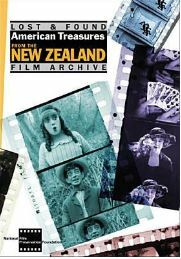 The films and were found in a New Zealand archive where they had been carefully stored for over a century – and they are a great find because they are the only known versions of these videos. The cartoon Happy-Go-Luckies (1923), 5 newsreel stories, and an episode from Dolly of the Dailies (1914) in which the unstoppable newspaperwoman saves the day and gets the scoop. A Picture of You – another studio recording with featuring only a single, vintage, lonely photo of Solomon Burke – but it is great song! JACKIE WILSON, ROCK SINGER; RECORDS INCLUDED ‘TEARDROPS’ Published: January 23, 1984. New York Times. Solomon Burke, Influential Soul Singer, Dies at 70 By BEN SISARIO. OCT. 11, 2010. New York Times.